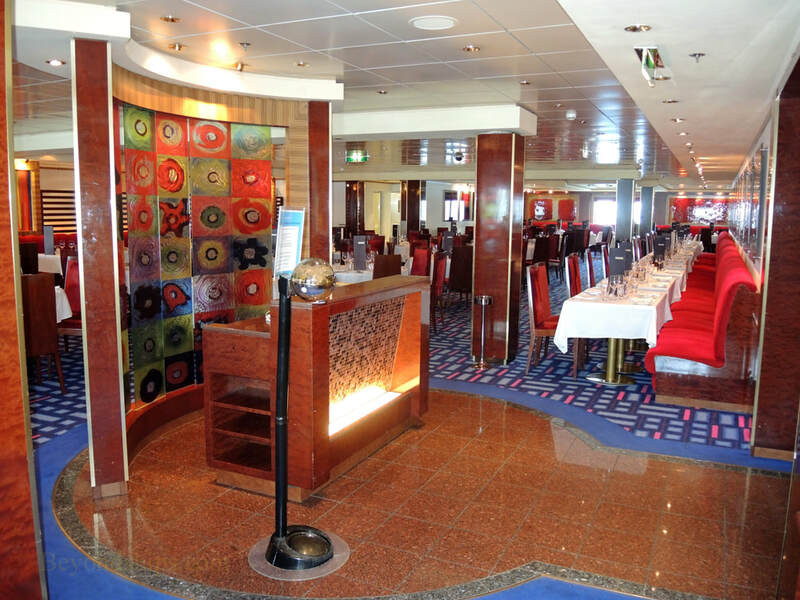 Jade has two main dining rooms. 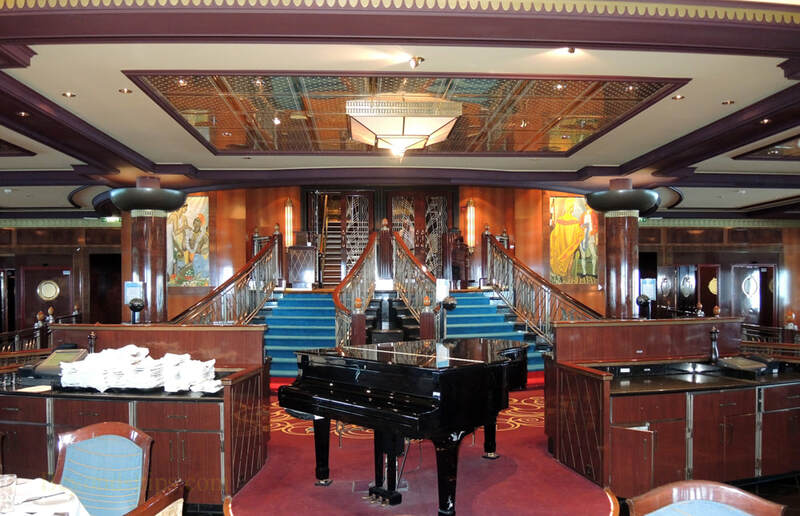 The Grand Pacific is a vast room at the stern of the ship. 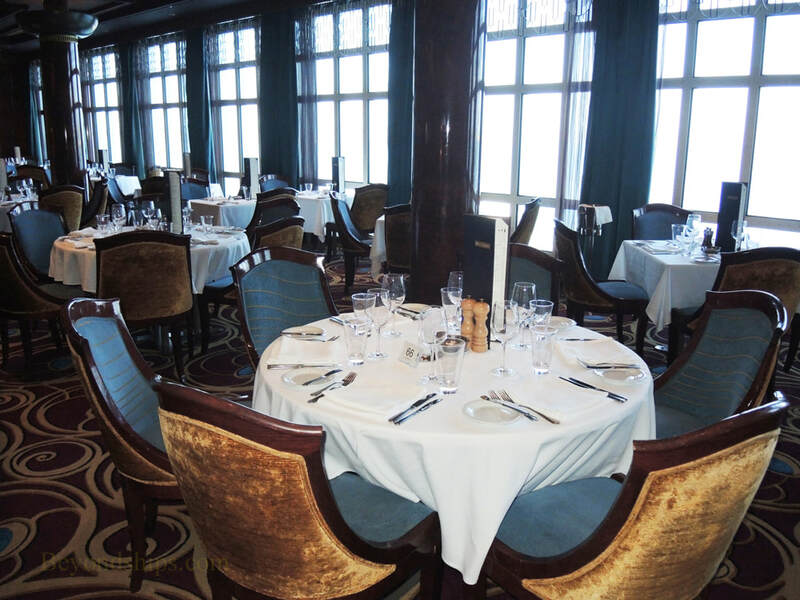 Done in dark wood with rich furnishings, it is the most elegant of Jade's dining venues. 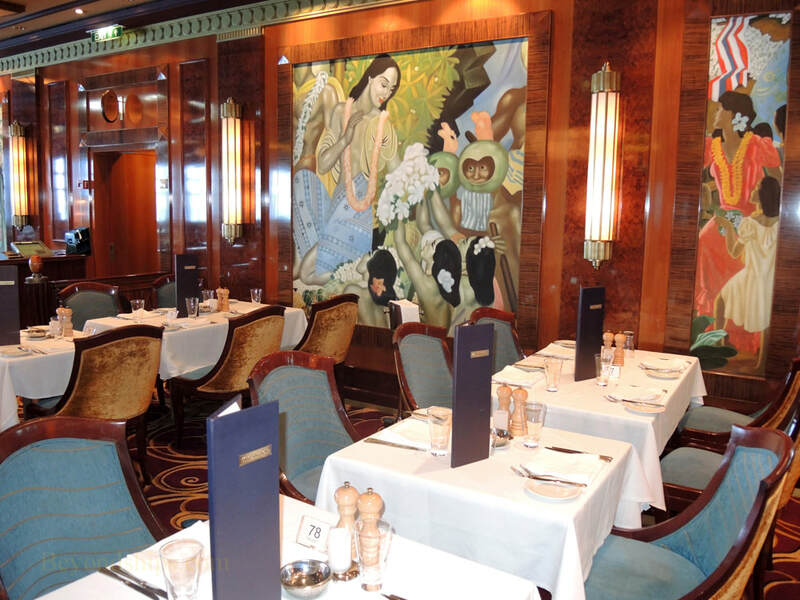 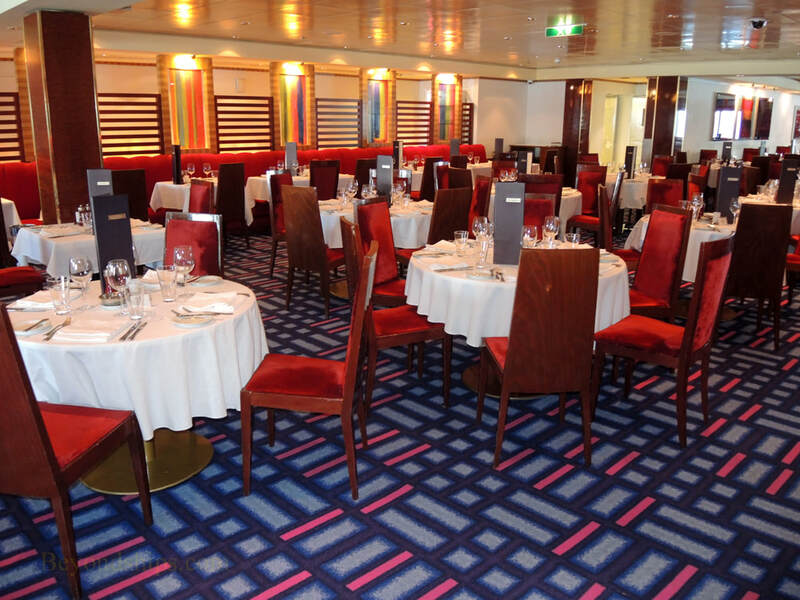 The Alizar Main Dining Room is smaller than the Grand Pacific. 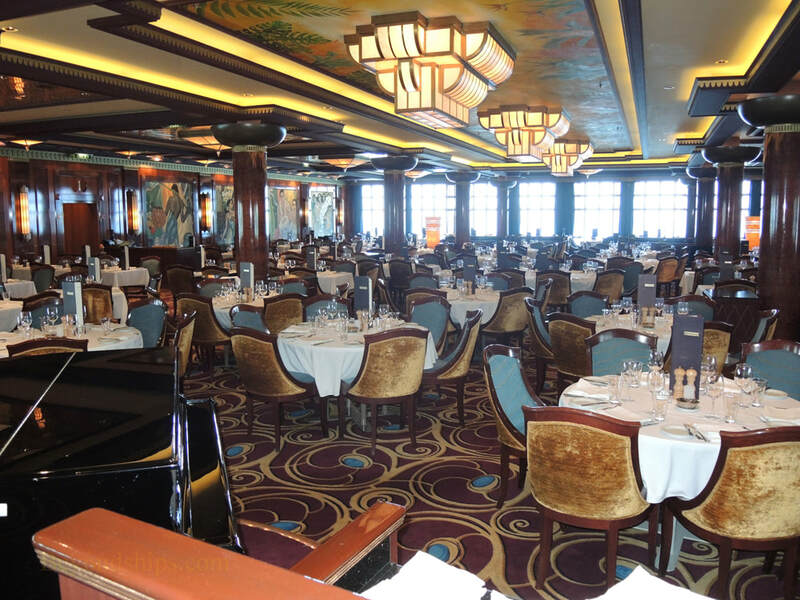 While less classically formal than Great Pacific, it nonetheless has a sophisticated look. 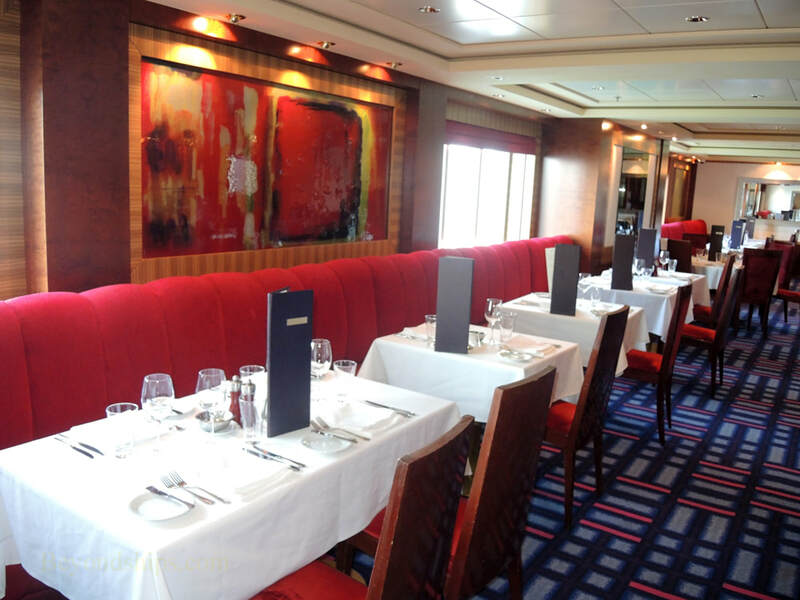 It is open for dinner and for occasional special events.